How Would Jesus Coach? Well Coached Lesson #1: "Love as you've been Loved"
Justin flashed back to the day before when David and Brock came by the house. Was this what they were saying to him? That somehow Justin started to value winning over relationships? Rick continued, “Make no mistake - loving God is your number one priority. These two commandments are different. God the Father should always be our number one focus. However, the second one is still similar. The love we show our neighbors stems from our relationship with God. Jesus was asked, ‘Teacher, which is the greatest commandment in the law?’ Jesus replied to this man with love God and love your neighbor, because if you do those two things, you do the entire law. Love had come down from heaven to look he and the other Pharisees in the eye. He came down and did something that no one in the history of the world could do: He lived a perfect life in accordance with the law. He did not come to abolish the law, but to fulfill it. He did all of this through love and relationships. The first lesson of Well Coached is this: "Love as you've been loved" and is reflected in Christ's greatest commandments. It is our call to love God because he first loved us. What a blessing that he first loved us and now have the opportunity to love him! Secondly, the overflow of our love of God should be reflected in how we love one another. When we focus on living in right, loving relationship with God and others, we will be able to fulfill our purpose, no matter what that may be. For Coach Tucker, that means a clearer definition in how to coach. 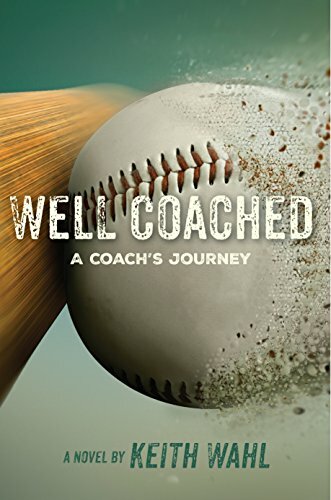 To get your free eBook copy of Well Coached, click here now! Newer PostHow Would Jesus Coach? Well Coached Lesson #2: "Discipline the way you've been Disciplined"